We all know that security at home is important but what about properties that you own but rent out to others? Obviously a lot of the contents belong to your tenants but you need to protect the fabric of the building and you may well have furnishings and appliances in the property. A good landlord will want to offer his/her tenants suitable protection but it can be a complex issue. For a start, there is always going to be an element of lack of control. You can install a good burglar alarm but at the end of the day it’s someone else that is responsible for the day to day operation of it. You also need to know that your tenants are not putting your property at risk, for example you may have student properties with a number of unrelated people living in one house; would they know if someone was in there uninvited or would they just assume it was a friend of another housemate? Students make for rich pickings for burglars as you can see from this recent story (the teenage burglar has stolen from over 100 student houses in Leeds in just 3 months). Maintaining security has to be a fair collaboration between yourself and your tenants. It’s your responsibility to provide them the means to keep your property secure, such as a burglar alarm or CCTV, and it’s up to them to use it properly and take sensible precautions. Clearly nobody benefits from a break in so it’s just about agreeing what each person is responsible for from the outset, including the maintenance of the alarm. 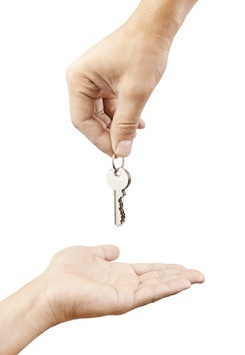 We do a lot of work for homeowners who rent their properties out and for letting agents. One of the issues that we come up against is tenants not using the alarm properly and causing faults. While we will always try and reset systems over the phone if we can, sometimes this requires an engineer visit which is chargeable. The question then is who should pay for that. Fortunately in that situation we can usually retrieve data from the system that helps us to understand how the problem occurred but it’s still better to try to avoid the issues by educating the tenant on the proper procedures in the first place. A good precaution to put in place is alarm monitoring. This can alert you to any false alarms and incidents without having to rely on being told by your tenant. It’s also good to have regular data reports from your alarm system so that you know that it’s being regularly used. If you have a property that you rent out, or represent those who do, then why not see how we help make your life, and that of your tenants, a little easier. Call us on 01924 371941 or contact us via our enquiry form.